You may have heard lots of casual discussion about the potential for balloon sinuplasty to help prevent snoring, and wondered whether there was any truth to it. You may also have wondered how complicated and how painful the balloon sinuplasty procedure is, and whether it was worth the effort to try to solve the problem. The answer to both questions is yes – balloon sinuplasty can help your snoring problem tremendously, and it’s definitely worth undergoing the procedure. This is a medical procedure which is minimally invasive and has been proven to be quite effective at relieving the snoring of even the most persistent snorers. Snoring is actually a result of the narrowing of airways and the relaxation of throat muscles, with the internal consequences being that throat muscles vibrate with each inhalation and exhalation of oxygen. That vibration is the snoring that irritates your partner so much, and which he/she is so adamant about pointing out to you. Being overweight – having extra fatty tissue in the throat can cause a restriction of muscles located there, which again promotes snoring. One of the most common causes of snoring is sinusitis, and if you really want to cure your sinusitis and prevent snoring at the same time, balloon sinuplasty may be one of your best options. Sinusitis is a chronic condition which can last for years and can induce many unwanted symptoms in those persons afflicted by it, one of which is snoring. Sinusitis and snoring are closely linked, and if it happens that your own snoring is due to sinusitis, you might very well solve both problems by undergoing successful balloon sinuplasty procedure. Advanced imaging techniques are used to diagnose which of the various sinus cavities require treatment to prevent snoring and other issues. 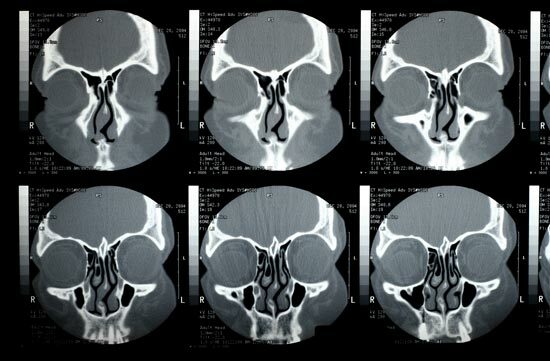 This procedure has been demonstrated historically to be the very best solution for curing sinusitis and snoring at the same time. The procedure is an endoscopic one which uses a catheter and a small sinus balloon to widen nasal passages to provide lasting relief for someone suffering from sinusitis and snoring. It promotes normal sinus drainage without causing any damage to the lining of your nasal passages. The procedure doesn’t take very long and is followed by a recovery period which is far less than any other kind of surgery will permit. The procedure can be done either in a clinical setting or on an outpatient basis with the patient being under local anesthesia. Obstructed sinuses are freed up as the expanded balloon flushes out material from sinus cavities, so that nasal breathing can be vastly improved. It’s very common for patients to experience significant relief right during the procedure itself, as the material which was obstructing their breathing gets flushed out. Not only is this a very effective treatment for people who are bothered by constant sinus infections, but the opening of sinus passages can be extremely effective for reducing snoring as well. While the procedure is ongoing, it will be necessary to clear one sinus at a time, with each sinus-clearing taking about four minutes. Most people have as many as six sinuses, those being located in the forehead, cheek, and behind the nose. However, not all of these may require clearing, and that will be determined by sinus imaging which is done beforehand to identify the specific sinuses which require treatment. The patient feels nothing more than a slight pressure in the area of the nose or forehead as treatment progresses, although afterward there is likely to be some soreness associated for a while. Many patients who go through the sinuplasty procedure in their doctor’s office are completely capable of driving themselves home after a 15-minute waiting period. It is possible that there will be occasional nosebleeds in the days following your procedure, as the nasal passages continue to flush themselves out, and eject material which has been blocking the sinuses. This, however, will die down within a few days, and you’ll probably have much better breathing, with far fewer sinus-related issues. It will almost certainly improve your snoring problem as well, although if your snoring is primarily due to causes other than sinusitis, it may not completely disappear. For instance, if you routinely lay on your back when you sleep, or when you drink a lot of alcohol, you’ll still be subject to bouts of snoring, unless you alter your sleep posture and give up alcohol. While it may not be possible to prevent snoring under every circumstance, you will likely experience an overall reduction in symptoms.